Sydney have scored an emphatic 107-91 home win over Brisbane to secure their first NBL finals berth since 2013. 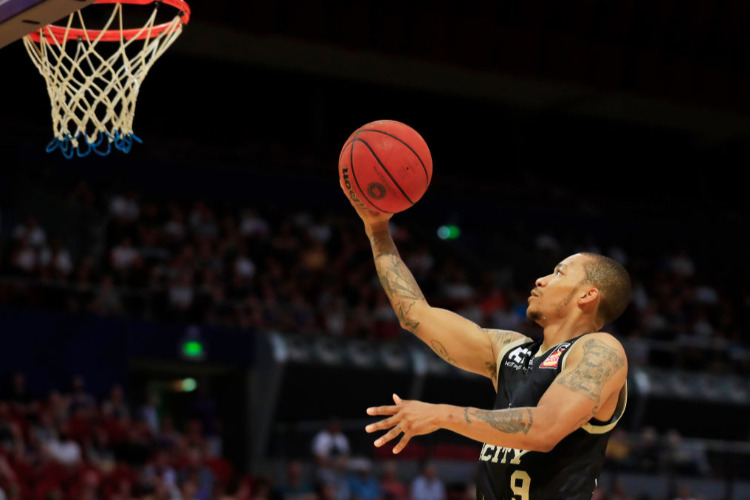 Sydney have overcome recent troubles at home to secure a long-awaited NBL finals berth with an emphatic 107-91 win over Brisbane at Qudos Bank Arena. The Kings had lost last their past three matches at home by double-digit margins going into Sunday's encounter. But they exploded out of the blocks and led throughout to improve their win-loss record to 16-9 and secure their first playoffs berth since 2013. Sydney skipper Kevin Lisch had 21 points and did a superb defensive job on Cameron Gliddon, who managed just four points. Jerome Randle led the way with 26 points, with centre Andrew Bogut also important with 13 points and 11 rebounds. "Whether the game was played here or in Botswana, it didn't matter where ... but that was a really important (win) for us," Kings coach Andrew Gaze said. "Hopefully, we can build some confidence for a very tough weekend coming up. It keeps our chances of finishing up the ladder as high as we possibly can and it assures us of a playoff spot. "Right from the pre-game speech and the first five minutes, you could see the guys were really locked in and, defensively, we were great." After a draining 95-93 win against the Bullets on Friday in Brisbane, Gaze's men quickly answered queries over their ability to back up and put in another strong performance. The Kings tallied their biggest first-quarter score of the season to lead the shell-shocked visitors 34-18 at the first break and didn't let up in the second to enjoy a 57-45 lead at halftime. Andrej Lemanis' side couldn't find a way to combat the Kings' red-hot offence after the break, trailing 79-61 heading into the final stanza before losing and dropping their season record to 12-13. The defeat was Brisbane's fourth in a row, leaving them in a dogfight with Adelaide for fourth spot. Lamar Patterson led all scorers with 27 points and also pulled down seven rebounds, but too many of his Brisbane teammates were quiet. "We've got to be able to do a better job defensively," Lemanis said. "It seemed like, at times, we were a step slow and it's something we've got to sort out. "We can't dwell on this. We've got three games left and it's important that we get our mindset right and come out well on Thursday."